BABY FOOD FOR CREATIVES: Enter this: The Core77 2012 Design Awards. In my quest to help you be great, I came across (aka got emailed about) another competition you should check out. It's for everyone, every discipline, every level - so if you have a good idea, take it here and see if you can win something. Calling all design practitioners, educators, students, researchers and writers. 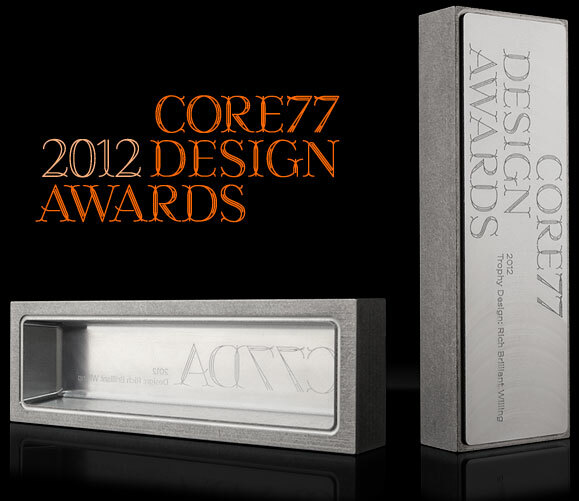 Submit your best work from 2011 into the most inclusive and celebratory design awards program of the digital age: The Core77 2012 Design Awards.